Recently the “implied consent” law in Tennessee has changed to allow officers the choice to ask you to submit to a breath test or blood test or both. 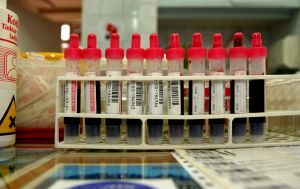 The most recent change makes it possible for an officer to require a driver to submit to both a breath and a blood test. It appears that under the new law, an officer could ask an individual to submit to a breath test and if the results are not to his liking; could require an individual to submit to a blood test as well. 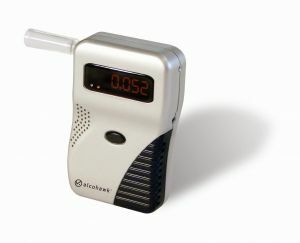 However, neither the breath test nor the blood test may be administered to determine BAC unless the officer has reasonable grounds to believe the person was driving “while under the influence of alcohol, a drug, any other intoxicant or any combination of alcohol, drugs, or other intoxicants”. Also, for the results of such test or tests to be admissible as evidence, it must first be established that all tests administered were administered to the person within two (2) hours following such person’s arrest or initial detention. If a person, having been placed under arrest and then having been requested by a law enforcement officer to submit to either or both tests, and then refuses to submit, they will be charged with violating the Tennessee Implied Consent Law. The penalty for the first offense is one year loss of license. If a person refuses to submit to the test and has a prior conviction for DUI, vehicular homicide due to intoxication, aggravated vehicular homicide, or vehicular assault due to intoxication, then the penalty is loss of license for a period of two years. The penalty is loss of license for two years, if the court finds that the driver of a motor vehicle whom refused the test was involved in an accident, in which one or more persons suffered serious bodily injury. The penalty is loss of license for five years, if the court finds that the driver of a motor vehicle whom refused the test was involved in an accident in which one or more persons were killed. In addition, if the court or jury finds that the driver violated the implied consent law while driving on a license that was revoked, suspended or canceled because of a conviction for vehicular assault, vehicular homicide, aggravated vehicular homicide, or driving under the influence of an intoxicant, such driver commits a Class A misdemeanor and can be fined up to one thousand dollars and will be sentenced to a minimum mandatory jail or workhouse sentence of five days to be served consecutively.